I'm terrible at buying throw pillows. I'll walk into a store, see a pillow that I like, look at the price, then walk away because $20 is more than I want to spend on a pillow. 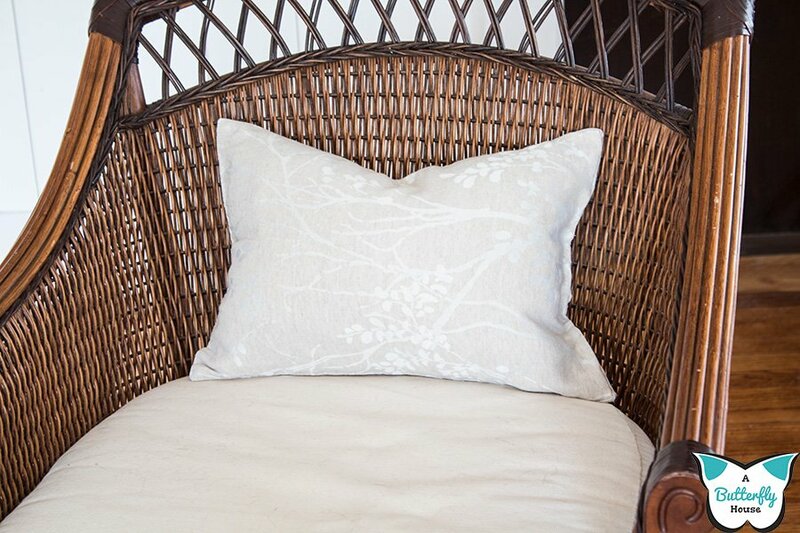 In my personal opinion, throw pillows should all cost $5, because they serve no real purpose other than to look nice. In fact, you can expand this opinion to all decor-based items; I have a major problem buying fake plants too. 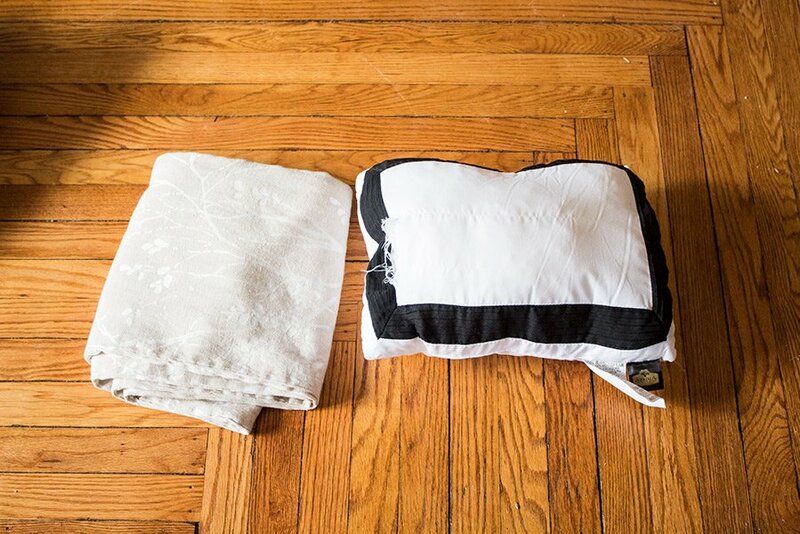 So this week, I'm making DIY throw pillows. I stopped by my local thrift store and picked up an assortment of cheap pillows, as well as various textiles to cover them with. I also bought an overpriced fake plant (eight whole dollars!) because I'm slowly acknowledging that fake plants will never be as cheap as I want them to be. 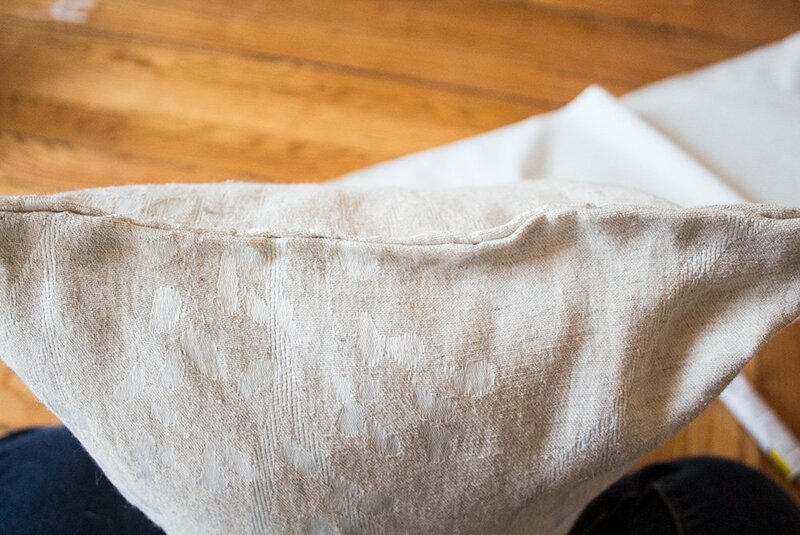 First up: This sad, ripped pillow, to be covered with a table runner. 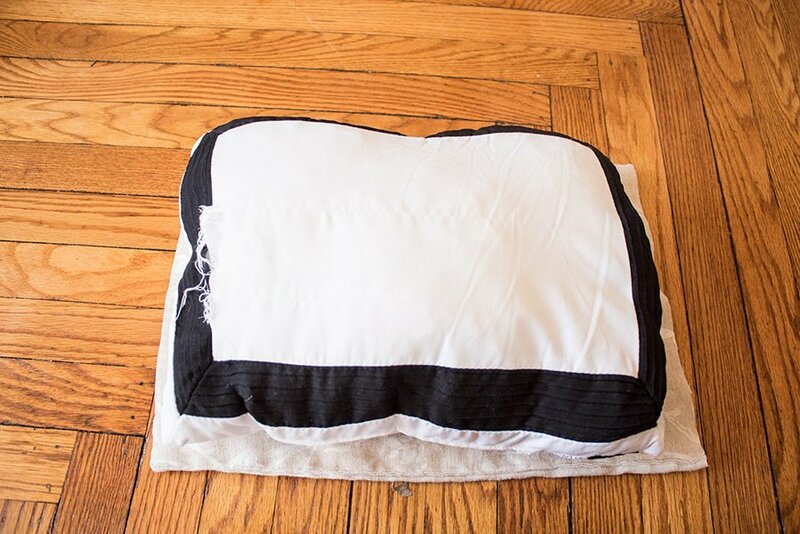 For the record, the pillow was not ripped when I bought it. But then I washed it, because who doesn't wash thrift store pillows before use? Imagine my surprise when I was greeted with pillow fluff instead of a pillow upon opening the washer. I shoved the fluff back into the pillow, and decided the project would still work. Table Runner- Make sure your table runner is two pieces of fabric stitched together. If it's not, this method could still work, but you'll need to do some extra gluing. 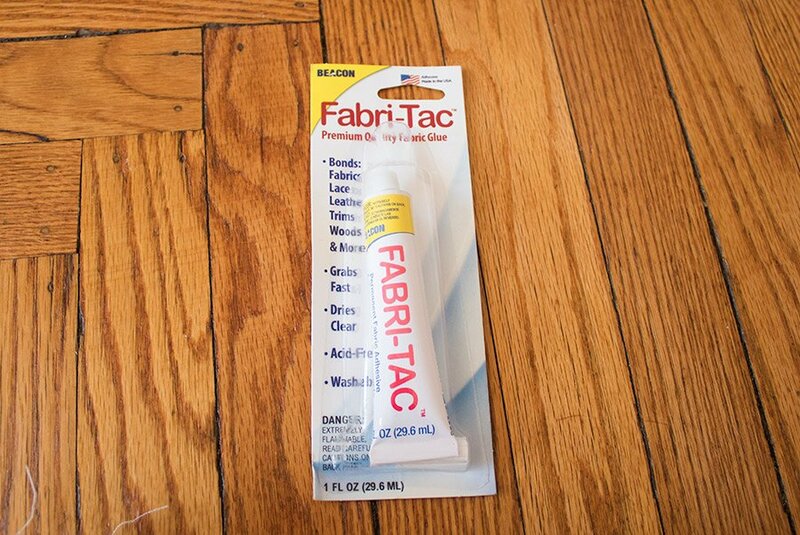 Fabri-Tac Glue- The packaging on mine was a little bit different, but I'm pretty sure the link here is the same stuff! 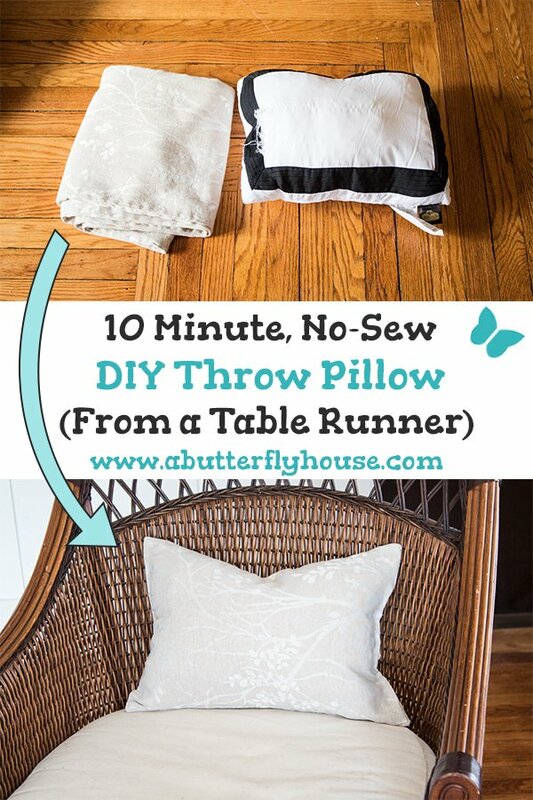 I cut the table runner a little longer than the pillow to make sure I had some extra fabric just in case. Note that I cut a piece off the end of the table runner, not the middle. This meant that I only had one open section; all of the other sections were already sewn for me! Win! My table runner seemed to be pretty high-quality; there was batting inside and everything! 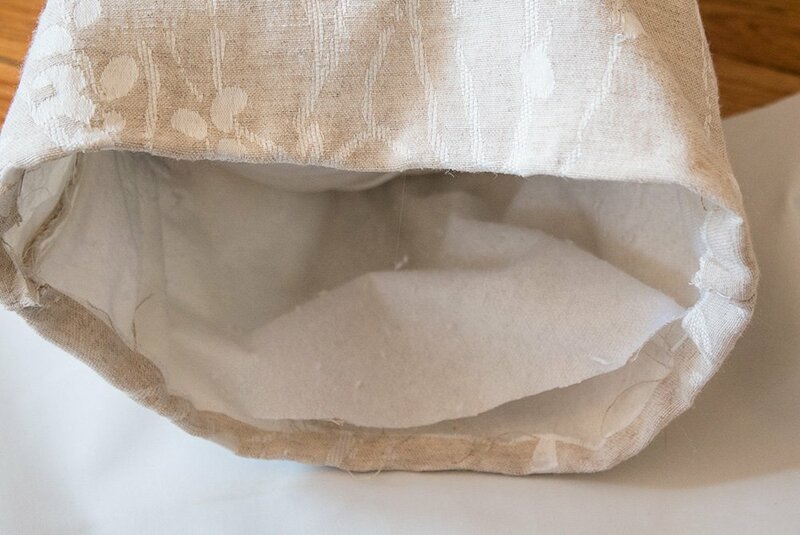 I just put the pillow between the batting layers. Since the cut edges of the table runner were a bit raggedy, I folded the them over and glued them in place using the Fabri-Tac. Beacon was kind enough to send me a free sample of Fabri-Tac, and it worked really well in this project! There really wasn't anything fancy about this. I just put glue on the inside of one of the edges, then pressed the both edges together. After letting it dry, my pillow was done! I'll be honest, this process was so easy that I'm questioning even writing a post on it. It took me less than 10 minutes, and all the steps seemed obvious. But maybe if you needed some confidence before cutting up a beloved table runner, this post could give it to you! 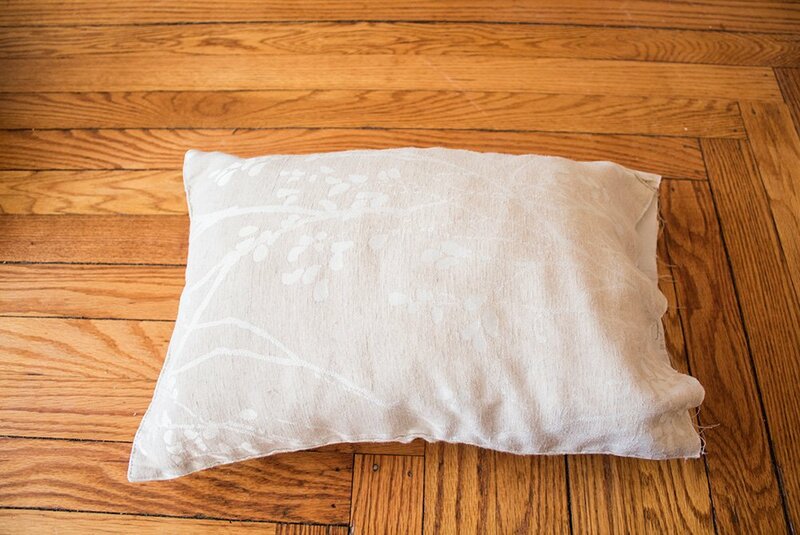 Stay tuned for my future DIY throw pillow posts! I've still got 3 more pillows to go! 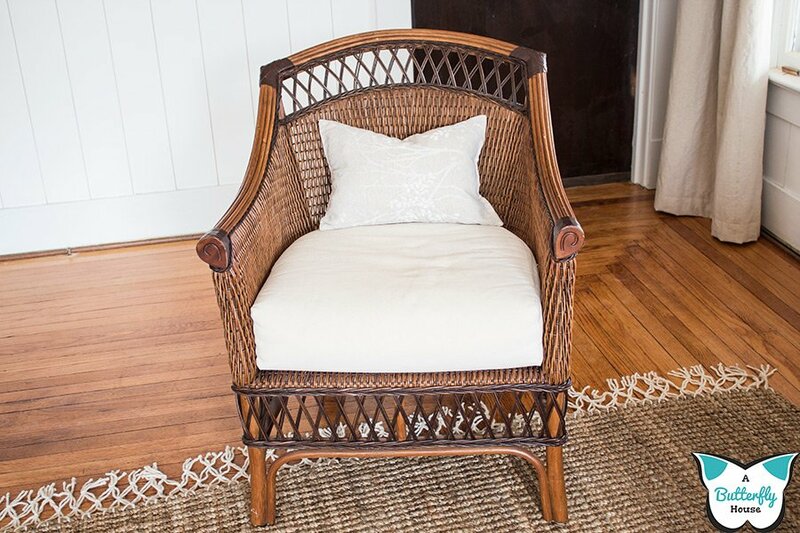 And in the meantime, go ahead and save this post to Pinterest so you can find it again later!